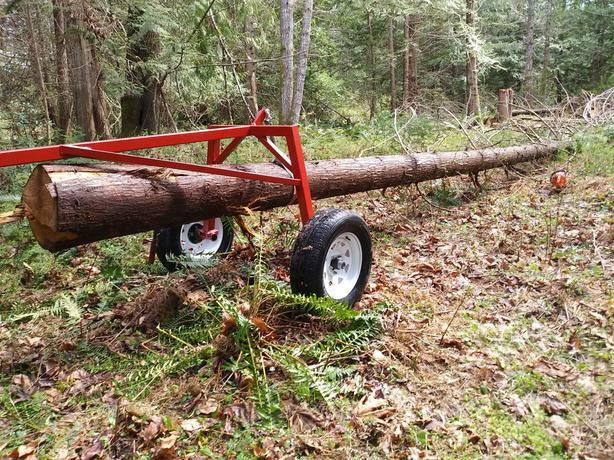 New log arch. 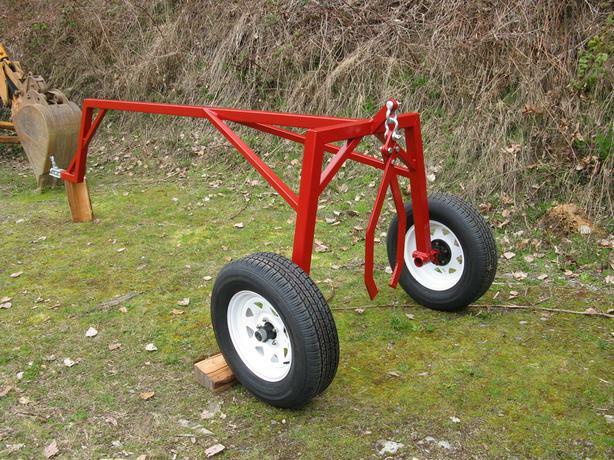 Heavy duty construction with 3600 lb axles and wheels. 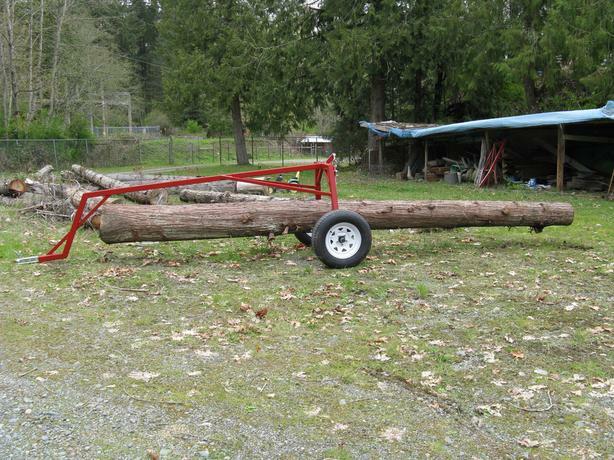 Built to carry a 20 foot long X 34 inch diameter log 12 inches off the ground. 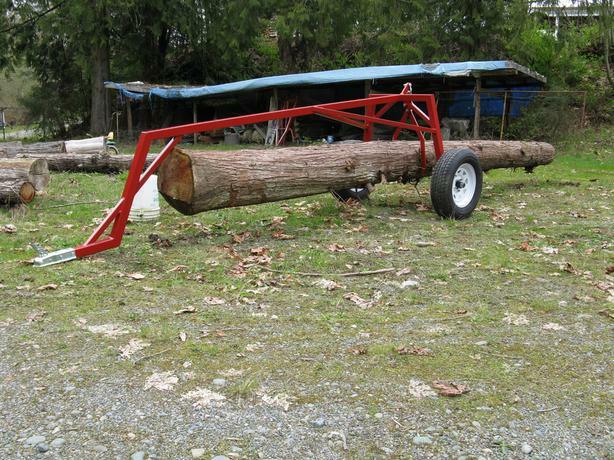 Will carry 2 tons. 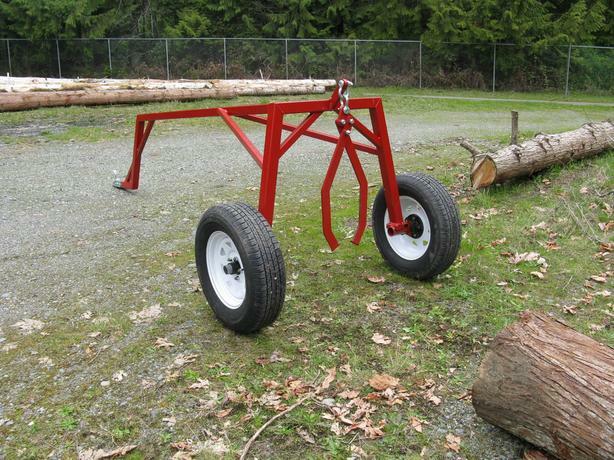 Excellent for hauling logs to your mill or firewood logs or even pulling a whole tree out of the bush. 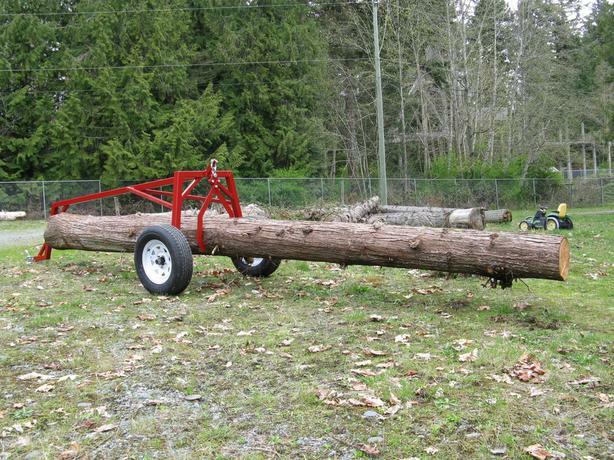 Designed to keep logs off the ground for transport to keep mud , rocks , and sand out of the bark that would quickly dull your blades. 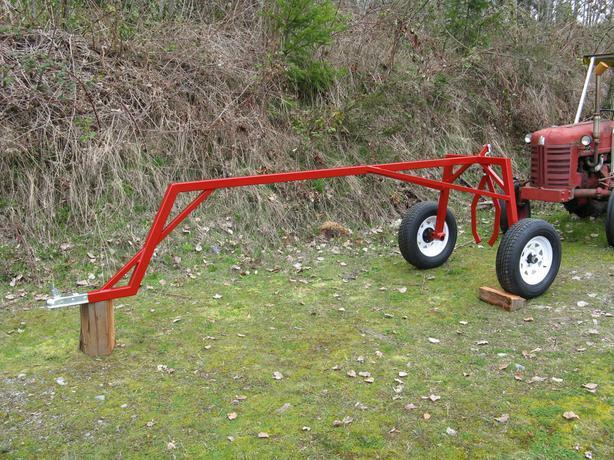 Easy to move with anything with a 2 inch ball ATV , tractor , truck etc. 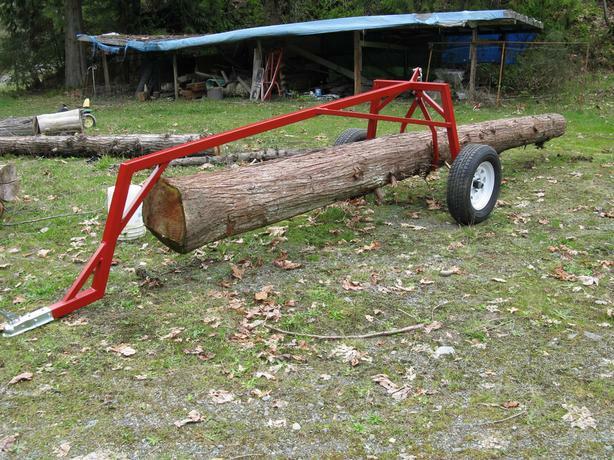 Includes log tongs that makes loading very easy in four easy steps.